We’ve dealt extensively with the science of fasting, but sometimes there are many practical considerations that need exploring, too. Fasting, like anything else in life requires some practice. In days past, when religious fasting was a communal practice, these sort of practical tips were passed on from generation to generation. If not, friends would often have useful advice on how to handle the fasting, because there are definitely some problems that commonly arise. However, with the decline in the practice of fasting, these sorts of advice are often difficult to find. What can I take on fasting days? There are many different rules for fasting. During Ramadan, for example, fasting is practiced from sunrise to sundown and no food or beverages are taken. Other types of fasting will only restrict certain types of foods – for example, abstaining from meat for a day. So there are no right or wrong rules. What I describe is the fasting that we prescribe for health and weight loss, as we use in our Intensive Dietary Management program. All calorie-containing foods and beverages are withheld during fasting. Be sure to stay well hydrated throughout your fast. Water, both still and sparkling, is always a good choice. Aim to drink two liters of water daily. As a good practice, start every day with eight ounces of cool water to ensure adequate hydration as the day begins. Add a squeeze of lemon or lime to flavor the water, if you wish. Alternatively, you can add some slices of orange or cucumber to a pitcher of water for an infusion of flavor, and then enjoy the water throughout the day. You can dilute apple-cider vinegar in water and then drink it, which may help with your blood sugars. However, artificial flavors or sweeteners are prohibited. Kool-Aid, Crystal Light, or Tang should not be added to the water. All types of tea are excellent, including green, black, oolong and herbal. Teas can often be blended together for variety, and can be enjoyed hot or cold. You can use spices such as cinnamon or nutmeg to add flavor to your tea. Adding a small amount of cream of milk is also acceptable. Sugar, artificial sweeteners or flavors are not allowed. Green tea is an especially good choice here. The catechins in green tea are believed to help suppress appetite. Coffee, caffeinated or decaffeinated, is also permitted. A small amount of cream or milk is acceptable, although these do contain some calories. Spices such as cinnamon may be added, but not sweeteners, sugar or artificial flavors. On hot days, iced coffee is a great choice. Coffee has many health benefits, as previously detailed. How do I break my fast? Be careful to break your fast gently. There is a natural tendency to eat large amounts of food as soon as the fast is over. Interestingly, most people don’t actually describe overwhelming hunger, but more of a psychological need to eat. Overeating right after fasting may lead to stomach discomfort. While not serious, it can be quite uncomfortable. This problem tends to be self-correcting. Try breaking your fast with a handful of nuts or a small salad to start. Then wait for 15-30 minutes. This will usually give time for any waves of hunger to pass, and allow you to gradually adjust. Short duration fasts (24 hours or less) generally require no special breaking of the fast, but certainly for longer fasts it is a good idea to plan ahead. I get hungry when I fast. What can I do? This is probably the number-one concern. People assume they’ll be overwhelmed with hunger and unable to control themselves. The truth is that hunger does not persist, but instead comes in waves. If you’re experiencing hunger, it will pass. Staying busy during a fast day is often helpful. Fasting during a busy day at work keeps your mind off eating. As the body becomes accustomed to fasting, it starts to burn its stores of fat, and your hunger will be suppressed. Many people note that as they fast, appetite does not increase but rather starts to decrease. During longer fasts, many people notice that their hunger completely disappears by the second or third day. Water: As mentioned before, start your day with a full glass of cold water. Staying hydrated helps prevent hunger. (Drinking a glass of water prior to a meal may also reduce hunger.) Sparkling mineral water may help for noisy stomachs and cramping. 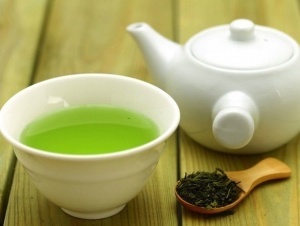 Green tea: Full of anti-oxidants and polyphenols, green tea is a great aid for dieters. The powerful anti-oxidants may help stimulate metabolism and weight loss. Cinnamon: Cinnamon has been shown to slow gastric emptying and may help suppress hunger. (1) It may also help lower blood sugars and therefore useful in weight loss. Cinnamon may be added to all teas and coffees for a delicious change. 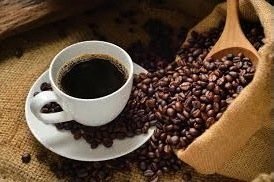 Coffee: While many assume that caffeine suppresses hunger, studies show that this effect is likely related to anti-oxidants. Both decaffeinated and regular coffee shows greater hunger suppression than caffeine in water. (2) Given its health benefits (see chapter 21 [REF. ]), there is no reason to limit coffee intake. The caffeine in coffee may also raise your metabolism further boosting fat burning. Chia Seeds: Chia seeds are high in soluble fiber and omega 3 fatty acids. These seeds absorb water and form a gel when soaked in liquid for thirty minutes, which may aid in appetite suppression. They can be eaten dry or made into a gel or pudding. Absolutely. There is no reason to stop your exercise routine. All types of exercise, including resistance (weights) and cardio, are encouraged. There is a common misperception that eating is necessary to supply “energy” to the working body. That’s not true. The liver supplies energy via gluconeogenesis. During longer fasting periods, the muscles are able to use fatty acids directly for energy. Is a fasting day a good way to recover from eating something like a piece of cake during a celebration. I am a Type 2 diabetic ,following LCHF and eating potatoes and birthday cake last evening has dramatically increased my blood glucose number-both 2 hr pc and fasting the next morning. absolutly do not do a fast if you are diabetic. You can easily do more harm than good. Talk to your doctor before venturing into a fast, you will be hard pressed to find a physician who will not worry that you may end up in emerg. Linda – diabetics can fast. The recommendation is to work with the Doctor as medications may need to be lowered. Bad advice! T2D absolutely can fast. Dr. Fung addresses this in this article! Only precaution is if they’re medicated fasting could cause hypoglycemia if not monitored closely. Stay on top of your glucometer readings and consult with doctor. Many T2D control BS with LCHF and fasting and don’t need to be medicated. There is zero risk of hypoglycemia if unmedicated. You are so wrong.. Terrible advice!! Fasting, when done through Dr. Fung’s advice, can dramatically reduce insulin, and eventually reverse diabetes. A personal physician and pharmacist are the last people I would seek advice from. For the most part, there advice is what gets diabetics in trouble in the first place!!! I have fully reversed my T2D by fasting and eating LCHF diet. I have also reversed my T2D by fasting and eating low carb and high fat. I was on insulin and took myself off. My doctor was shocked but called me first thing the next morning and told me that my blood work was normal – including my triglycerides were normal! She said that as long as I continue with this program, I don’t need any of my diabetic medications. Read all of Dr. Fungs blogs before you say fasts are wrong for diabetics. Many have reversed diabetis thru a fasting regime. Find a doctor who really understands diabetis. Most don’t, in my experience. Bottom line: fasting is a way to reduce blood glucose levels… just get educated on the do’s and don’ts – and get a real doctor. So not true! Type 2 diabetics do great fasting. I am a T2 Diabetic and I do full long fasts, between 3 to 10 days at any given time. I wouldn’t give advise if I wasn’t sure of what I am saying. I do not take any metformin and I am under Dr. Fung’s care and my diabetes is almost reversed. LCHF is a wonderful woe. Education is the key. The 5:2 plan DOES work…I started it in mid April and lost 12 lbs rather quickly, then upgraded to ADF, 16:8 and LCHF/high protein. Down 25 lbs. You can read the success stories at http://www.thefastdiet.co.uk. Does it really only take people 2 to 4 days to use up all glucose in the body? I heard it can take some people a week to start burning fat. Is that true? depends how long you have had insulin resistance and how much you have stored….I believe. It depends on how much glucose you have stored. When I fast, for example, I am usually burning body fat by 2-3pm. [my last meal would have been at 6pm the day before] I burn through my glucose stores pretty quickly because I typically stick to a very low carb diet. I measure this by checking my blood ketones with a Nova Max Plus ketone meter. If you run into problems, you can use exogenous ketones to bridge the gap. Sooner or later, your body will start making ketones. Once that happens, you won’t need the supplements. I forgot to say that it can take me about 5 days of very low carb to make my hunger subside, but not completely. Is it not a very good idea to restrict or fast when you obsess over food? Wendy, I have found that my hunger totally goes away on day four of a fast. Thanks Dr Fung. Looking forward to what you have to say in your next post ” what if I have diabetes” and my exercise when fasting. On bone broth: 2-3 hours is woefully inadequate to extract all the good nutrients out of the bones. It’s just getting started at that point! Better to let them simmer for 24-48 hours (lesser for chicken, more for beef) to really let the bones, cartilage and other tissues fully break down, thus making for a truly superior nutrient profile. 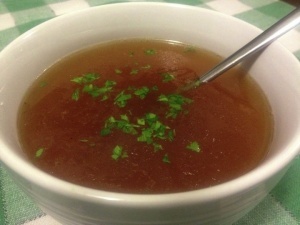 Just search for “bone broth” and there’s lots of good guidance out there from the Weston A. Price Foundation and others. I agree. I simmer mine for a day or more in slow cooker. The slow cooker works great for this. Agreed. We cook ruminant bones for 72 hours and poultry for 12 hours. A crockpot with a locking lid makes it easy to do this out in the shed or garage without smelling up the house. Don’t make the same mistake I did. If you cook on stove top let your broth simmer so only an occasional bubble gurgles to the top. A rolling boil breaks down the collagen. Grass FedBeef Pasture Raised From Bone Broths Co. Beef Bone Broth is Slowly Simmered. http://www.bonebroths.com. Is this acceptable in lieu of making homemade bone broth? What about taking a well formulated Multiple Mineral Vitamin during a 30 to 60 day fast? Dr. Jason Fung: Increased blood sugar is not a reason to reduce exercise. I would continue. Been practicing the IF lifestyle since 2012 , will add that if real hungry then sugar free gum or bubble gum has been a lifesaver as well as pickles. How can chia seeds been consumed during the fasting state as they do have calories? I would like to know this also. Thank you. Dr. Jason Fung: Only your own doctor can advise you on your medications. However, be aware that metformin can cause GI upset on an empty stomach. Also, if your blood sugars are too low during fasting, you should seek advice on holding metformin or any other you other diabetic meds. Thanks so much for this article Dr. Fung! A quick question, would a bone broth be inappropriate for someone with gout? Dr. Jason Fung: I see no problem. Hey Dana! I’m on day 2 of a 7-day fast today. If you check in on the Forum we can support each other. P.S. I don’t lose if I take too much fat during a fast so I’m keeping the hwc to two tbs this time around. Dana, I am having the same problem you are and am now restricting the bulletproof coffee. It would be nice to compare notes. How does one get onto the forum? Hi Cassandra, did you continue with 7 day fasts? Any specific tips or cautions to share? Thanks a million! How long should my husband fast for if he has type 2 diabetes? Please advise. Thanks. Hi Dr. Fung. Great website with a lot of good information. I’m doing LCHF to lose weight and want to incorporate fasting to obtain the additional health benefits. Based on your clinical experience would you please tell me which fasting protocol provides the most benefits the soonest? Hi Jennifer, thank you for your kind response. Based on your response I’ve thought about this:Would it be ok to do a 23 h short fast five days a week plus two 24h fasts per week? or is this too much? What the Dr. Says is that you don’t want to do anything too regularly– it’s good to vary the pattern. hi cub, unless you start feeling bad/dizzy/low energy or feel cold it is not too much to fast that much (unless you are of course underweight). Just make sure when you eat that you get lots of nutrient-densed foods such as meat, veggies (broocli, cabbage, caluiflower, asparagus, avocado etc), eggs, nuts, seeds, fat (butter, coconut oil, cheese, heavy cream, olive oil etc) as you will want to get as many nutrients as possible in your one meal a day. And dont restrict calories during that meal (only restric sugar, gluten and fast carbs). Good luck! Mineral water is terrific for many of the issues people have while fasting. I keep some (Gerolsteiner, Pelegrino, Perrier) on hand, and find I rarely get leg cramps unless exercising more strenuously. Broth at night is relaxing, but can stimulate some hunger if I have it earlier. Green tea is gold! I used to over brew it and it got bitter; so timing is key. I like having such a wide variety of green, black, herb teas to add interest to fasting. Dr fung. Thank you for life saving information. Am I right in deducing that 1 x 48 hour fast has better outcomes (lower insulin, more fat burning) than 2 x 24 hours fasts (that is 1 x 24 hour fast; feast day; 1 x 24 hour fast)? Can diet beverages such coke zero be consumed during the fasting period? Thank you Jennifer!!! you guys are truly heaven sent. I have been fasting now for several months and I feel fantastic. My BP went from 136/94 to 120/72!!!! my body weight was 225 and now I am 198 and feel and look younger.!!! What about alcohol on fast days? I mean something like vodka. I have just realised a day I’ve set for fasting is a day that I drink. I’d say 6 units, or less. Roughly, but it’s not fixed, just depends. I can’t speak for Dr. F but have read in his writings that it is best to stick to zero calories drinks. Alcohol may interfere with your bodies ability to breakdown fat which is ultimately the goal if you have metabolic disease. I do not drink during my fasting periods currently – only my festing days. I do the same: I drink only on my non-fasting days. I think I would get hammered if I had a single drink while fasting. Even when I drink, I drink at most 2 drinks. If I want to have a drink, I will ensure I cease to fast before I drink. I too am curious about alcohol. Fruits hinder weight loss greatly, especially for me. Try eating more meat, fish, veggies, eggs, good fats like butter, coconut oil instead of the fruits. Cucumber and avocado are fruits. I have spent the better part of a week now, reading through all blogposts and watching all the videos. It’s been a very interesting week:-), the weather here in Sweden is more reminiscens of October than July. I found your page, Dr Fung through Andreas Eenfeldts Swedish blog and I’ve been so inspired. I’ve done a few 20-24 hour fasts these past couple of weeks and now I am aiming for at least 36 hours for the first time. Dr. Fung, I’m concerned about electrolyte depletion during exercise while fasting. Do I need to replenish my electrolytes, or will the body’s internal stores be sufficient? Michael, I use pickle juice (source of sodium) and magnesium (magnesium taurate, pill form) on the days I fast. If I don’t take these, sometimes I can get leg cramps at night. This includes days I fast and exercise at the same time, although even days I do not exercise, I may have to supplement. However, I’m also taking an ACE inhibitor, which supposedly causes a sodium/potassium imbalance. You can try going without and see what happens. I’ve done a three day fast, taking only a few magnesium pills and a little sodium, and working out twice (aerobics, lifting weights). Hi Jason. Just a quick question about fasting. I usually do the 16/8 style of fasting but I seem to always get a cold after doing this for a few weeks. Is this due to me being deficient in certain nutrients ? Not eating enough during the feeding window? I’m 6 1 195lbs so have a higher maintainence requirement. Let me know as I would like the besnifits of fasting. Thanks. My wife has a similar problem with her BS in the morning with Dawn Phenomenon but the longer she has been fasting she does the 16/8 the better her morning sugars are. You have to remember that your are now insulin resistant, so give it time to reverse and if you incorporate exercise into your day you will start to become insulin sensitive again pretty quickly. Make sure you read the comments below the blog. Many doubts and questions are asked and answered. Hello, really great information on the site. I’m finally realizing why I am unable to lose weight even while on a low carb diet! I started with a 76hr fast and have switched to eating one HF/LC/MP meal every 36hrs. I feel so much more energized and my appetite is under control. Question about coffee. Doesn’t coffee release insulin? Wouldn’t drinking coffee defeat the purpose of the fasting? So far I’m only drinking iced water through my fast and nothing else. I read in the article that Chia seeds are premitted. I’m curious to why as they do have calories. Chia seeds are virtually all fiber, so they shouldn’t raise insulin levels if you eat 1-2 Tbsp per day. cured by eating salt or potassium chloride or a mixture of both. Can commercial bone gelatin be used during fasting instead of home made bone broth? What about natural stevia ( as a plant ) on fast days.May I use it in my tea ? I would also like to know this answer. Thank you for your excellent blog and research. Absolutely brilliant! This product helps me to go through rougher fasting days. Hi there! I’m doing 6 days of fasting in 14 days, essentially, every other day I am eating. I am drinking bone broth, tea, and water on non fasting days. I feel foggy brained and tired, and getting “hunger headaches” which is my biggest complaint because I am a college student and am having trouble focusing; therefore, I just feel like sleeping right now. Any tips? On the podcast, Megan explained that it was a mistake to say that you should break your fast with nuts. But, it still reads as such on this article. Is it safe to fast during menstruation? For how long? What is your view on dry fasts? Im going to try a 16 day water fast and see how i feel from there. am i okay to just supplement a bit of pink himilayian salt in the am without magnesium and potassium? Confused, here…. bone broth has calories, yet is recommended during a fast, where “All calorie-containing foods and beverages are withheld during fasting.” Thanks for clarification. Just curious to know why you’d want to remove the fat from the bone broth, if natural fats are good for us? I know it makes for an oily broth to keep it in there, but that’s a matter of personal taste, right?